Its been a busy day for Canon. They have announced two new entry level DSLR cameras (EOS 600D and EOS 1000D) plus some more compacts, lenses and flashes. Lets get a brief overview shall we. This is a 12MP CMOS camera with 720P video. It has a 9 point autofocus system with the EOS 7D colour metering system and a basic menu system that aims to simplify your first DSLR experience. 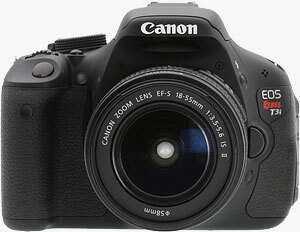 At heart this is still the 18MP CMOS 550D but now with a tilt and swivel screen as in the EOS 60D plus wireless flash control as found in higher end models. Firstly there are updates to the 500mm and 600mm f/4 IS L series. Of more particular interest for me is the announcement that they are developing a 200-400mm f/4 IS L lens but with a twist. It will have an integrated 1.4x Converter which sounds rather fascinating. This flash ist the first to have integrated video light in addition to being a guide number of 32 with wireless support. There is also an update 270 EX II flash announced. The 115 HS is a 12MP Backlit CMOS camera with 4x Zoom and 3inch screen. The IXUS 220 HS has the same sensor but with 5x zoom yet 2.7inch screen. Now the IXUS 310 HS is and update to the 300HS which offers manual controls on a 12MP Backlit CMOS sensor and 24-105mm lens. With 14x zoom and 12MP sensors the main difference here is that the SX230 HS has a GPS, well done Canon, now can we get geo-tagging on DSLR soon?